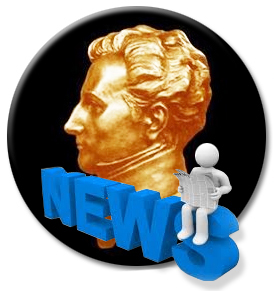 Welcome to all subscribers to The Clausewitz Studies Newsletter! In Clausewitz historiography, October is the gloomy month when Prussia spectacularly lost the Battle of Jena-Auerstedt (14 October 1806). In this twin battle, Carl, adjutant of Prince August, fought stoically by Auerstedt. Four days later, on October 18, ahead of the French occupation, like many other prominent members of Prussian society known for their virulent anti-Napoleonic rhetoric, Marie fled Berlin. Fortunately, amidst all the panic and terror, she received a quick note that Carl had survived, and, with the remnants of Prince August's grenadier regiment, was moving north, seeking the relative safety of East Prussia. "Live long my Carl, my most beloved—may the Lord watch over you, forever, forever yours Marie," she wrote back, not knowing if, in these tumultuous times, they should ever meet again. On October 25th, the French troops entered Berlin. A few days later, in a splendid parade, Napoleon rode down Unter den Linden and under the Brandenburg Gate. After surviving the bloodshed at Auerstedt and two weeks of relentless French pursuit, Clausewitz, Prince August and their grenadiers were captured near the fortress of Prenzlau. They had attempted to escape through unforgiving muddy fields, fighting off French cavalry attacks and merciless artillery fire. As prisoners of war, Prince August and his adjutant were sent to Berlin to meet Napoleon. Clausewitz would later describe his bitter experience in the waiting room: "The prince was admitted at once by the emperor, while [I] had to linger in a completely ruined uniform among all the brilliant, almost disdainfully elegant, uniforms of the imperial adjutants." Never again he would come physically as close to Napoleon—the subject of his admiration and abhorrence, in equal doses—as on this horrible day..
Bruno Colson's new biography of Carl von Clausewitz in French is out (Link). Colson is a professor at University of Namur (Belgium) and the author of Napoleon: On War. The French philosopher Raymond Aron famously wrote that, "Romantic and rational, merciless in his analyses and of a touching sensitiveness, Clausewitz belongs to the lineage of those like Thucydides and Machiavelli, who, through failing in action, found the leisure and sufficient resolve to elevate to the level of clear science the theory of an art which they practiced imperfectly." Yet his fellow French-speaking author Bruno Colson asks whether this image is entirely correct. By bringing to light new or understudied archival materials and closely examining seemingly well-known sources, Colson paints a picture of Clausewitz as an energetic military reformer, a superb senior officer, able and willing to make difficult decisions as in the Battles of Ligny and Waterloo/Wawre, a freethinker who was a member of Prussia's political class. In Clausewitz and The State, Peter Paret explored the origins and development of military theorist's main idea, war as a political instrument. In recent times, Donald Stoker offered a compelling narrative of Clausewitz the fighting soldier. Vanya Eftimova Bellinger's Marie von Clausewitz is a study of the social, political and personal conditions from which On War emerged. Bruno Colson's biography presents the restless spirit who gave the world a comprehensive theory of war. Furthermore it is a book written from a view point other that the Anglo-Saxon one that nowadays has come to dominate Clausewitz scholarship. Kudos to the French publisher Perrin for deciding to add a comprehensive chronology, year by year, of Clausewitz's life; a practical list of geographical locations with their nineteenth century names and to which country they belonged, and their current ones; followed by an extensive index of personalities and next to the citation, a brief information about them. We hope to see this book published in English sooner rather than later. The Strategy Bridge offers Olivia Garard's essay "Targeting Clausewitzian Judgements: Fusing Precision and Accuracy to Strategy and Tactics." (Link) In On War Clausewitz wrote that, "The question, then, for every assailant to ask himself is, If I am successful in the battle, what is the first use I shall make of the victory? The object to be gained, as indicated by the answer to this question, shows the natural direction for his blow." How does this concept relates to the all too pressing and practical questions of precision and accuracy? Read Garard's musings on the subject. Lucas Milevski's ambitious and impressive monograph The Evolution of Modern Grand Strategic Thoughtis out. As you might expect, Carl von Clausewitz is mentioned fairly often on its pages. Read the reviews in The Strategy Bridge (Link) and War on The Rocks (Link), which are highly informative and exhaustive in their own right. These texts should certainly give you some idea about where he stands—and about why we are so excited by Colson's biography. We still are looking for volunteers! We would like to gather a team of scholars well versed in both English and German who would like to collaborate on new translations of Clausewitz's works. Please let us know if you are interested and can volunteer your time and skills. Contact Vanya E. Bellinger or Clausewitz.com. Come join our merry team! And please send us anything else you find relevant, interesting, and newsworthy to include in our next issue.